The aim of this study was to evaluate the influence of body mass index (BMI), weight change on triple-negative breast cancer (TNBC) prognosis in a population-based prospective cohort study. The current analysis included 518 participants diagnosed with TNBC in Shanghai Breast Cancer Survival Study. 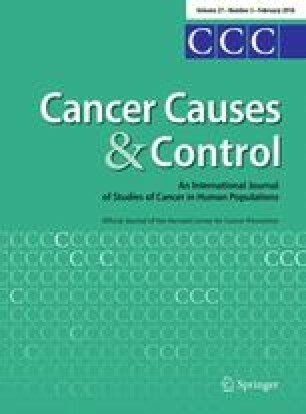 Weight at 1 year prior to cancer diagnosis, at diagnosis, and at 6, 18 and 36 months after cancer diagnosis and height at 6 months after cancer diagnosis were assessed. Disease-free survival (DFS) and overall survival (OS) were evaluated in relation to BMI and weight change using Cox proportional hazard models. Obesity (BMI ≥ 28.0 kg/m2) at 1-year pre-diagnosis was associated with higher risk of total mortality and recurrence/disease-specific mortality, with multivariate hazard ratios (HRs) of 1.79 (95 % CI 1.06–3.03) and 1.83 (95 % CI 1.05–3.21), respectively. The associations between BMI and TNBC prognosis attenuated over time from pre-diagnosis to post-diagnosis. Compared with stable weight (change within 5 %), weight loss ≥5 % at 18- or 36-month post-diagnosis was related with higher risk of total mortality and recurrence/disease-specific mortality. Respective multivariate HRs were 2.08 (95 % CI 1.25–3.46) and 1.42 (95 % CI 0.77–2.63) for OS, and 2.50 (95 % CI 1.45–4.30) and 2.17 (95 % CI 1.14–4.12) for DFS. However, the association of weight loss and OS/DFS attenuated after excluding patients whose weight was measured after recurrence. Weight gain ≥5 % at 18- or 36-month post-diagnosis was associated with a non-significant increased risk of death. The results showed that obesity pre-diagnosis and weight loss post-diagnosis was inversely associated with TNBC prognosis. Emphasis on maintaining stable weight after cancer diagnosis for TNBC patients may be considered. The authors thank Dr. Wei Lu and Dr. Fan Jin for her support in study implements and the participants and staff members of the SBCSS for making this study possible. The SBCSS was supported by Grants from the Department of Defense Breast Cancer Research Program (DAMD 17-02-1-0607 to X.-O. Shu) and the National Cancer Institute (R01 CA118229 to X.-O. Shu), and grants from the Shanghai Municipal Commission of Health and Family Planning (Grant No. 20134070 to P. P. Bao), as well as from the National Natural Science Foundation of China (Grant No. 81402734 to P. P. Bao).